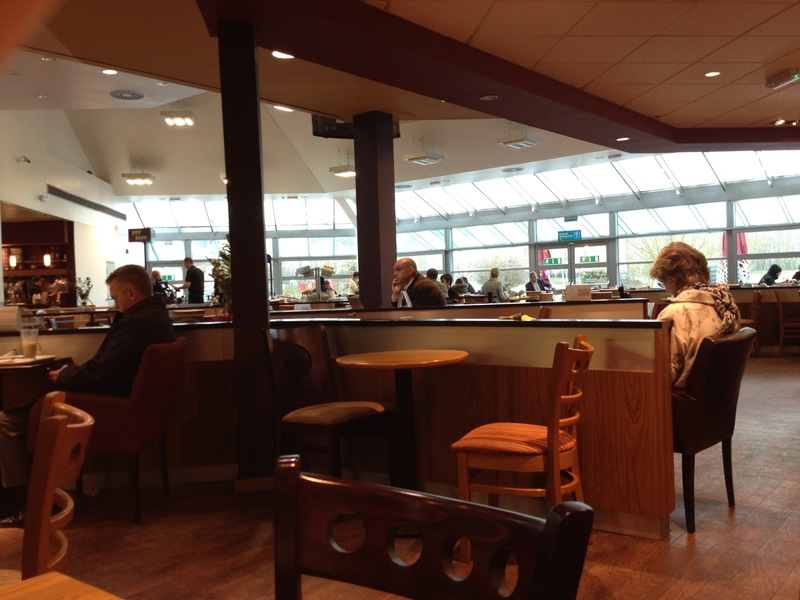 The transitory nature of the motorway service station, people just pausing whilst passing through. Plenty of staring down or into nothingness, and the sad, sad sight of people actually doing business over a lap-top and contracts as they tuck into their sandwiches. I usually rush in and rush out of these places, but wanted to sit and sip, soak up the atmosphere, and get a photo for the blog today.